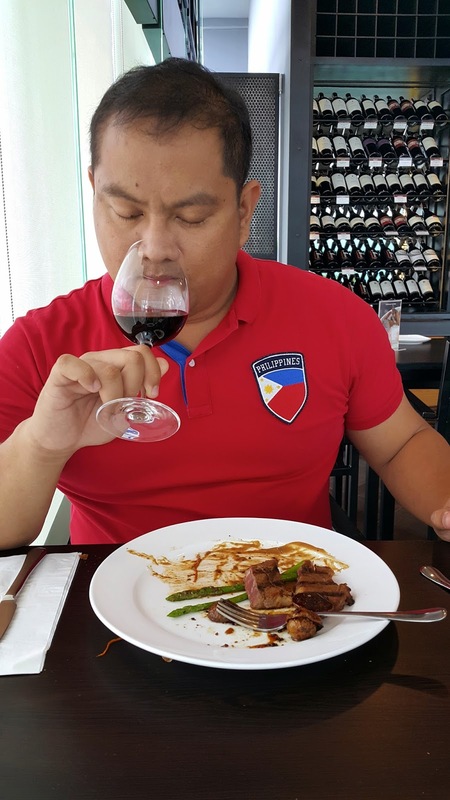 Barbecue has always been a Pinoy favorite. I grew up eating at the old Larsian in the Fuente Osmena area. 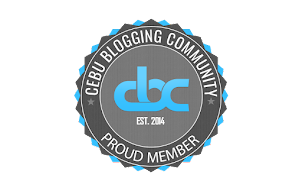 I am a big fan of Ric's Barbecue in Ramos before as well as Matias BBQ and Junjun and Malou's in Mandaue. 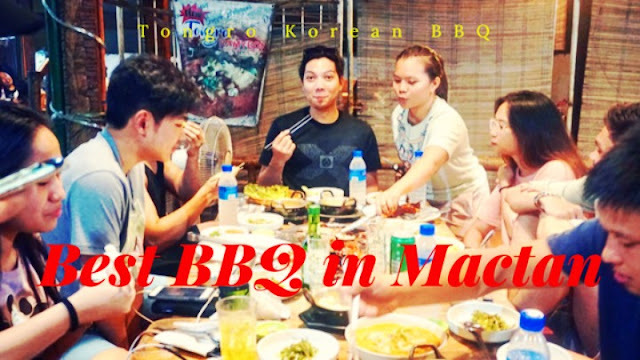 My barbecue adventures though never reached Mactan Island until recently when I discovered Tongro Korean BBQ. A lot of my friends from Mactan said that I should try Tongo Korean BBQ. I've been wanting to eat there for years I would say and I always end up in another place because I did not know where to park my car. The place seems to be always packed with people during dinner time. One time I even had snacks at Scape Skydeck so that I can check out the place but since I was full already, I decided against it. 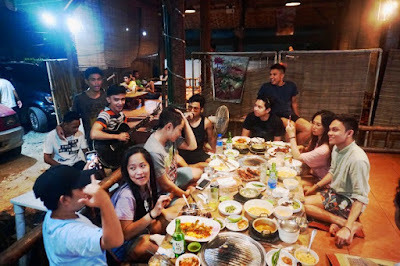 Finally, a chance came last month when my vlogging squad called "Gamhanan Gang" went island hopping on a Sunday. 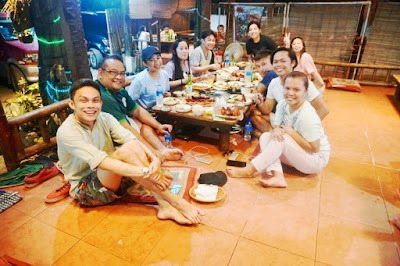 After the island hopping adventure, we were looking for a place to have dinner in Mactan. I found out from Tongro's owner that there are actually parking spaces at the side of the restaurant so we went there. 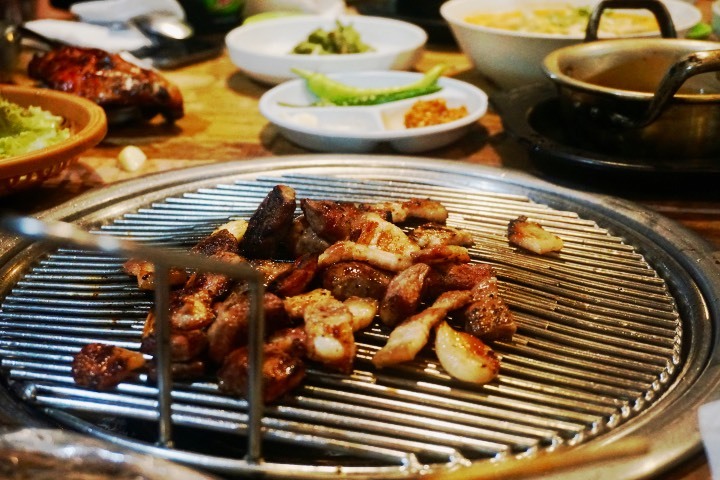 What sets Tongro Korean BBQ apart is that they serve both Filipino and Korean barbecue. 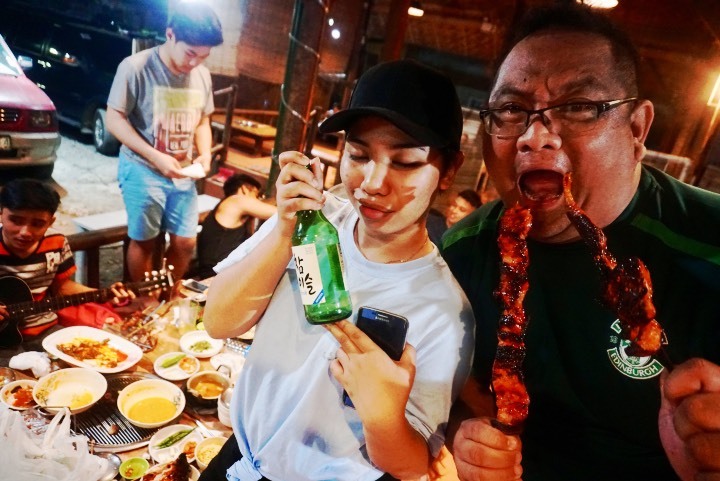 Their Filipino barbecue has even a Korean twist as it can come in Spicy and Super Spicy flavors. The Pinoy Barbecue line-up includes pork, chicken, fish as well as offal offerings like liver and skin. For the Korean Barbecue, they are only offering pork cuts. They have Samgyeopsal (pork belly), Moksal (pork shoulder), Hangjeongsal (pork jaw), and Kalmegisal (lean pork). 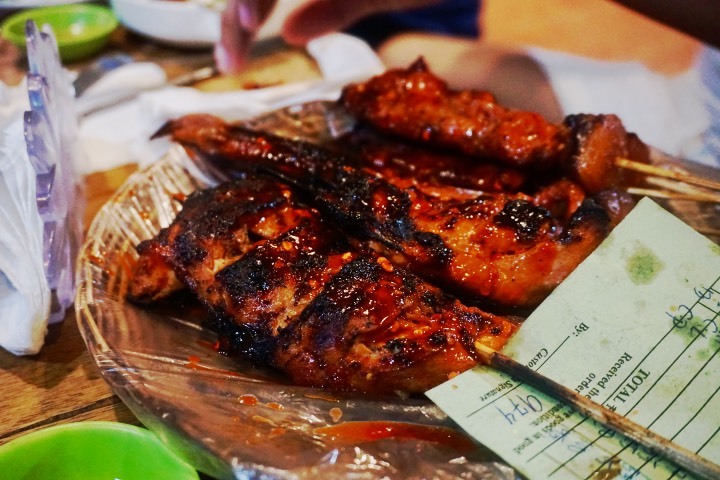 One order of these pork cuts is around 200-250 pesos ($4-$5) and an order includes soup, kimchi, steamed egg and fresh vegetables. They also have also short orders like the Jeyukbokum. 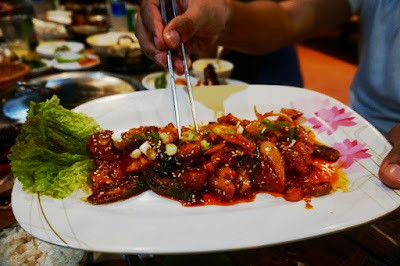 It is a Korean spicy stir-fried pork dish. The place also serves beer and soju which makes it perfect for dinner with friends. I like it a lot. 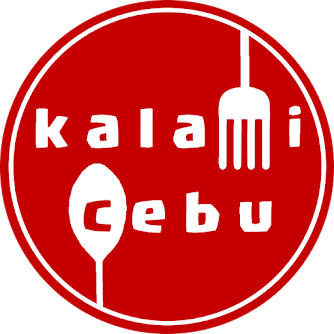 This is the only restaurant I know that serves both Filipino and Korean Barbecue. You can practically get the best of both worlds here. Their Filipino barbecue is seasoned well and their super spicy barbecue can make a chilihead cry with joy. The Korean bbq meal is packed with so many side dishes that one order can make you very full. If you want to take your dining experience to another level then order some soju. One tip though, if you plan to eat here is that you have to wear something comfortable because the place does not have aircon. In the end, my friends really had a great time here and it was one of the best Korean food trips that I experienced. Another plus here are the musicians who really play good music. I would surely come back here soon. By the way, Tongro Korean BBQ has a branch in Danao City so if you happen to live nearby you better check out their branch at Sands Gateway Mall. Tongro Korean BBQ is located at Quezon National Highway, Lapu-Lapu City.